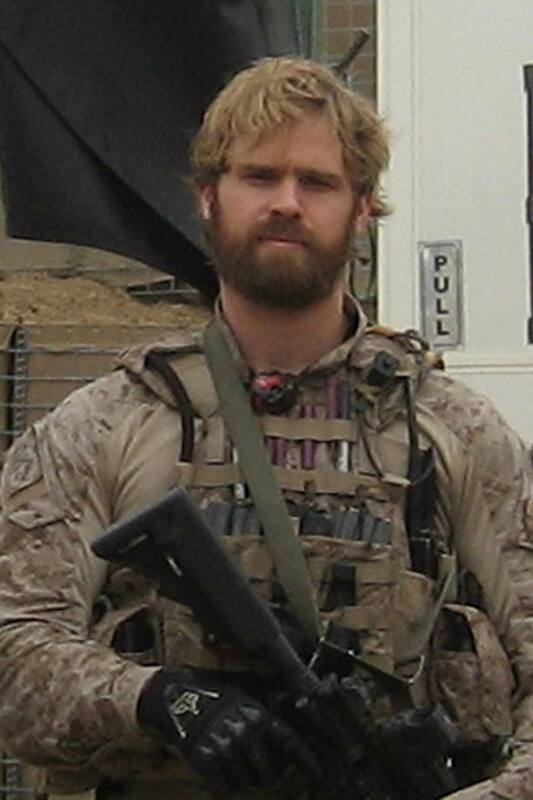 On Wednesday, November 11th (Veteran’s Day) 2009, Field 1 was dedicated to former SUSC player and Navy SEAL Nate Hardy. 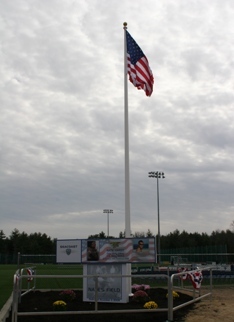 Approximately 500 people attended the ceremony celebrating the naming of "Nate’s Field", which will serve as a memorial to one of our first players, who served his country before being tragically killed in action on February 4th, 2008 while on a mission in Iraq. Nate played on the very first SUSC team at the age of 14. He improved greatly during his time at Seacoast United because he worked hard at his game and had unbelievable spirit which helped make him a key member of the teams he played on. Nate enjoyed a stellar career at Oyster River High School where he was a standout player, gaining All-State Honors in 1996. In 1995, Nate also represented the first ever Seacoast United team to compete abroad when his side visited Newcastle, England for a series of games including one against Newcastle United’s youth team. The Hardy family has always been a major part of Seacoast United. 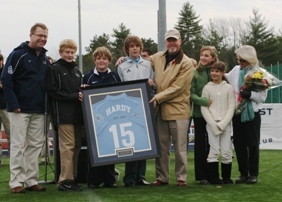 Dr. Stephen Hardy, Nate’s father and University of New Hampshire college professor, was one of the co-founders of the Club in 1992 and served as the Club’s first President. Donna, Nate’s mother, was always very gracious to host meetings at their house. Nate’s older brother Ben played for the first U16 boys team and went on to become SUSC’s first collegiate All-American at Middlebury College. Ben is now assistant coach for the Men’s program at Middlebury where they won the NCAA Division III National Championship in 2007. As early as 6th grade, Nate wrote a paper about becoming a Navy SEAL. His years with Seacoast United - originally as a practice player before playing on the very first U14 team (1993) - helped him develop the fierce competitiveness and team-first mentality that would later serve him so well during his eight years and four deployments iwth the SEAL teams, including his last six months with the elite Naval Special Warfare Development Group. He was killed in action while serving in Iraq, leaving his wife Mindi, son Parker, mother Donna, father Steve, and brother Ben. He was predeceased by his oldest brother Josh. Nate is buried at Arlington National Cemetery in Arlington, VA.
Nate’s military honors include two Bronze Stars, a Purple Heart, Defense Meritorious Service Medal, two Navy and Marine Corps Achievement Medals, and numerous other medals. He talked little about his SEAL deployments. He kept his first Bronze Star in a locker at his base, and dismissively told his father, "Dad, I don’t do this for the medals. I do it for my country and the guys next to me." A photo gallery of the field dedication can be viewed by clicking here. The "Nate’s Field" Dedication Program can be viewed here. Click here to read Ben Hardy’s speech delivered at the field dedication ceremony. 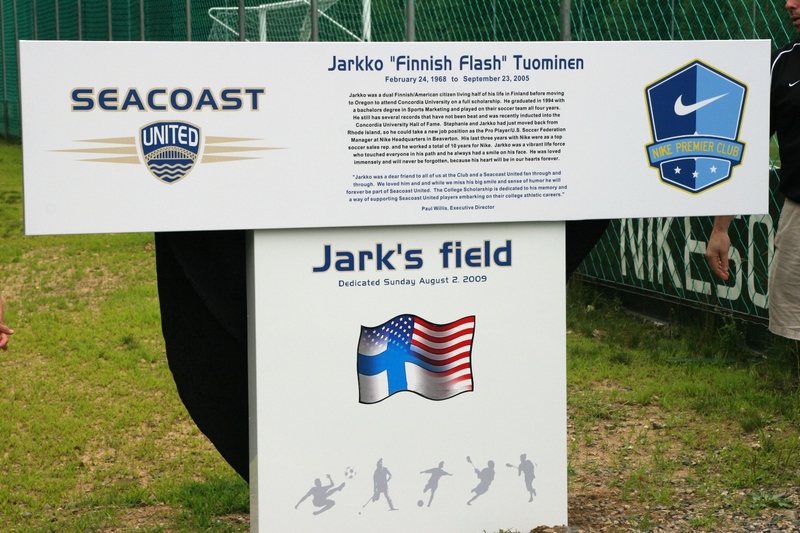 On Sunday, August 2nd, 2009 Seacoast United dedicated Field 3 at their Outdoor Complex in Epping, NH after Jarkko Tuominen, a long time supporter of the Club and an employee of Nike Soccer. Jarkko passed away on September 23, 2005 at the age of 37. He was a dual Finnish/American citizen living half his life in Finland before moving to Oregon on a soccer scholarship to Concordia University. Jarkko graduated in 1994 with a bachelor’s degree in Sports Marketing and played on their soccer team all four years. He broke several records at Concordia during his playing career, some of which still stand today, and was recently inducted into the Concordia University Hall of Fame. Jarkko Tuominen passed away on September 23, 2005 by an accidental fall on a beach trip with friends. He was the soulmate and forever love of Stephanie Jenness, the son of the late Jarkko Tuominen and is survived by his mother Kati Tuominen-Maki, brother Juha, sister Kaisa, step-father Mel Maki, step-brothers Erik and Shaun Maki, step-sister Liisa Maki, and also countless friends, co-workers, and relatives. Stephanie and Jarkko had just moved back to Oregon from Rhode Island so he could take a new position as the Pro Player/U.S. Soccer Federation Manager at Nike Headquarters in Beaverton. His last three years with Nike were as a top soccer sales representative. Jarkko spent ten years with Nike Soccer, both in sales and marketing, during which he developed a wonderful relationship with Seacoast United. He was a vibrant life force who touched everyone in his path and he always had a smile on his face. He was loved immensely and will never be forgotten, because his heart will be in our hearts, forever. "Jarkko was a dear friend to all of us at the Club and a Seacoast United fan through and through. We loved him and while we miss his big smile and sense of humor he will forever be a part of Seacoast United, especially now that we have a field dedicated in his honor," expressed Paul Willis, the Club’s Executive Director. In addition to the field dedication, the Club has held a memorial golf tournament in Jarkko’s name every August at Abenaqui Country Club in Rye. As part of the golf tournament, the Club also awards deserving high school seniors from Seacoast United Soccer Club, Lacrosse Club, Field Hockey Club, and Seacoast United Maine with college scholarships in Jarkko Tuominen’s name.